Karen Bromley, principal of The Bromley Group and a founder of K.I.D.S., inspires the fashion industry with her whole-hearted approach to doing business. When Karen Bromley stepped away from the podium at the 25th anniversary gala for K.I.D.S. (Kids In Distressed Situations), there wasn’t a dry eye in the house. Bromley addressed the audience that evening in 2011 as a founder of the charity (known now as Delivering Good) and an active officer on the board to share her thoughts on the non-profit’s accomplishments. Pushing facts and figures aside, she told a personal story that still resonates with many attendees seven years later. Brandy McCarty of The Eastman Group, another client of TBG, cites the PR entrepreneur as a strong, kind and successful businesswoman. “If she was having a bad day, you would never know it,” McCarty says with a laugh. Referred to as “the heart” of the organization, Bromley combined her passion and diligent work ethic to help found K.I.D.S. in 1985. Inspired by the music industry’s charity-driven release of “We Are the World,” Bromley began kicking the tires on an industry charity with childrenswear executives Ezrah Dabah, Barbara Toback, Mike Searles, Carol Reisman, Fred Brown and Andrew Kahn. Before long a blueprint for K.I.D.S. came into sight. K.I.D.S. officially launched in April of 1985 with more than $250,000 of donated merchandise for Ethiopian children in need. The charity quickly expanded its efforts to more children suffering from disasters and poverty internationally, as well as serving American families in distress. In 2005, the organization began working with a new non-profit formed by the adult apparel and home industries, Fashion Delivers. The two merged their efforts in 2014 as K.I.D.S./Fashion Delivers and ultimately rebranded as Delivering Good in 2017. Since its inception Delivering Good has distributed more than $1.8 billion of products through its network of community partners. Continuing to help organize donations and events, Bromley most recently went on a mission trip to Puerto Rico to assist families still suffering from Hurricane Maria’s aftermath. “It is still so powerful seeing those kids smile, even after 33 years of doing this,” she says. 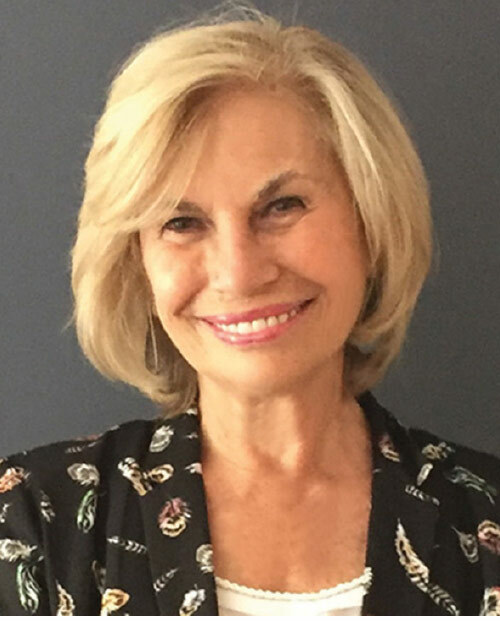 Prior to becoming an entrepreneur of her own PR agency, the Fashion Institute of Technology graduate served as a public relations director of fashion corporations, including Vanity Fair Intimates (VF Corp.) and Texfi Industries. She also had been a buyer for Belk, where she created private label programs for the department store chain. Bromley cites several successful TBG partnerships over the years, many of which include philanthropic initiatives. Partnering with St. Jude’s Children’s Hospital for Ugg Australia’s “Art & Sole” program, TBG enlisted 40 celebrities to help patients paint Ugg boots that would be auctioned off in donations to the medical center. Children’s apparel brand Healthtex also worked with TBG for an awareness campaign on immunizing children, where TBG designed hangtags with an immunization chart to help educate parents.